Michael Holthouse, the Houston-based entrepreneur and philanthropist behind National Lemonade Day, says his idea for a day centered around teaching youth about business. 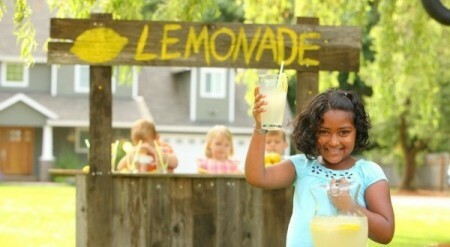 When she came up with the idea to do a lemonade stand to make money Holthouse was excited to help his daughter out. After seeing how engaged his daughter was with starting a lemonade stand, he was inspired to translate that experience into one that youth across the country could take part in. Lemonade Day is the flagship program of Holthouse’s nonprofit organization, Prepared 4 Life, which uses experiential programs built around life skills, character education and entrepreneurship to help empower youth to become contributing members of society. A lemonade stand is iconic American tradition as a child’s first business. But there are lots of other ways for kids to earn money such as mowing lawns or walking dogs. At the end of Lemonade Day, the kids usually have a jar of money but most don’t know what to do with it. It’s important to teach kids how to budget thier money and more importantly how to save it.